This is an extension of the crypto mining series, where I cover how to start mining easily and without any fees. Read the previous article first if you haven't already. 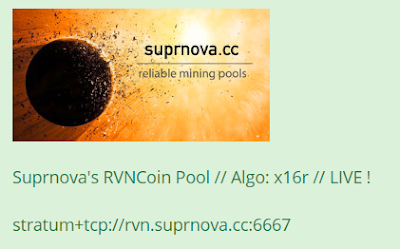 If you decided to mine in a pool, you will have to register within that pool directly from their website. For example, Supernova's pool website is https://suprnova.cc/ The great part about HiveOS is that they have automated many of the major pools. You simply have to register within the pools' platform, create a worker and password for that worker, and get that information ready for the next steps within HiveOS. Click on "Create Wallet" and then enter in the information required. It is best to know which coin you wish to mine for along with which mining pool you wish to use. HiveOS also gives you the option to set up your miner with whatever configuration you wish, so you can mine coins solo if you prefer. 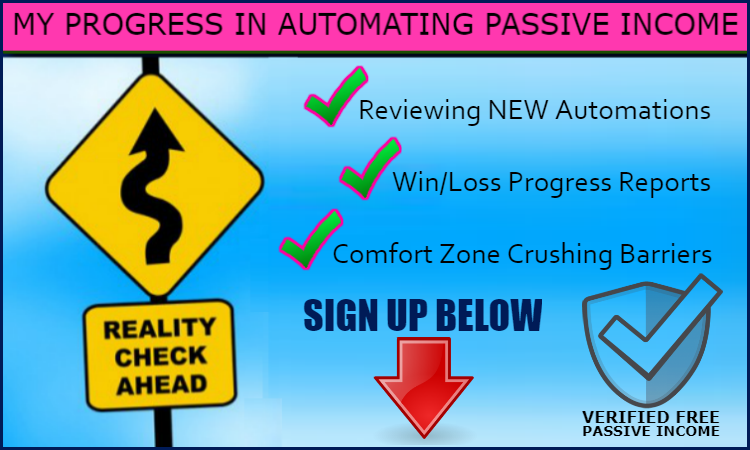 I have never tried that before, so I would recommend you use the easiest options first. This is not true for every mining pool. Sometimes these pools have true wallet addresses. Other times, it will be similar to Supernova with the 'workername.password' format. Notice that Supernova and Miningpoolhub both have the 'workername.pw' format while Nicehash has their own wallet address (found in your account). Or, if you decide to mine solo, it will go to the personal wallet address you choose to use, directly from the miner. Enter in the coin you wish to mine followed by the wallet you want to use. You should have set this up on Step 2. If you need to add another wallet to utilize, click on the Add Wallet Option. If you choose a pool, it will naturally give you the option to use the stratum (or mining pool url) stored within their database. 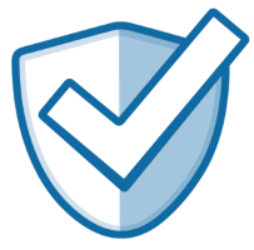 More often, it is accurate, but you will have to verify that yourself by searching for the stratum for each coin on their website. Select the miner from the dropdown. If you own an NVIDIA computer (Intel Chip), use the CC Miner. If you own AMD (Ryzen Chip), use SG Miner. 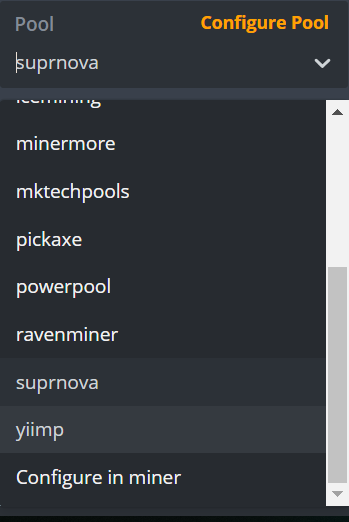 The miner dropdown list may vary depending on the pool or coin. 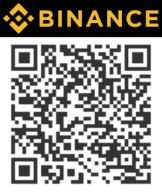 Clicking on the rocket ship will make this your main wallet and miner. When you boot up the miner, it will use this wallet and miner to start mining. 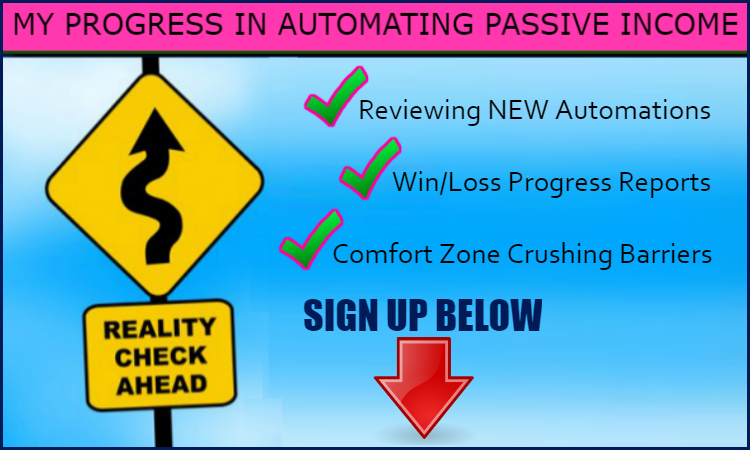 Thanks for reading, hope it was useful to you. 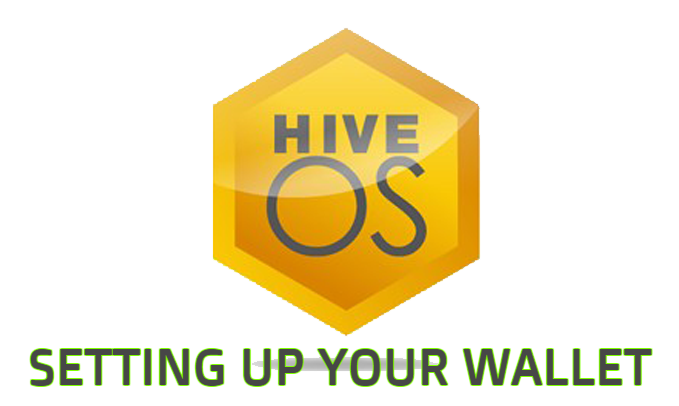 HiveOS recently updated the site and now it is even easier to use than before. Video on this will be coming soon here.